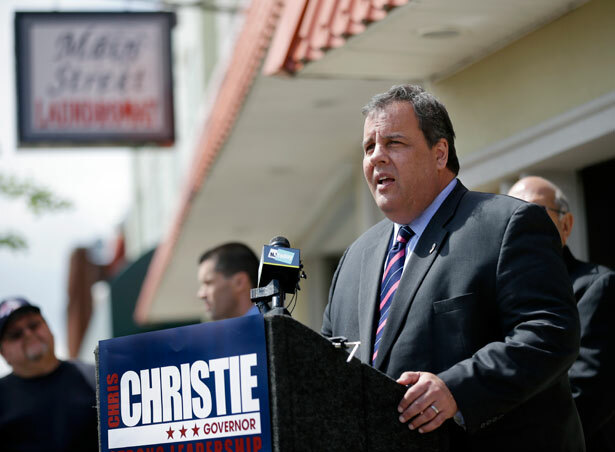 Is Chris Christie Gaining Traction for 2016? So far, no smoking gun. But there are now four separate investigations underway, with new leads to follow. Since the release of the self-commissioned investigative report by Gibson Dunn & Crutcher, a law firm run by an ally, Governor Christie has fought to stabilize his political future, and he’s taken steps to restart his 2016 presidential bid. That might be difficult in the face of four—count ‘em, four—separate investigations of the various scandals that have emerged since last fall, and as Christie Watch reports below, even the report by Christie’s own lawyers, though widely disparaged as a cover-up, provides all those investigators with leads that they can follow. Still, there are signs that Christie is getting some traction again, at least based on the results of recent polls. Of course, “they” are trying to find out. The inquiries include actions by the US attorney in New Jersey, the US attorney in New York City, a brand-new one by the Manhattan district attorney, and a joint Senate-Assembly committee of the state legislature. The New Jersey legislative committee investigating the George Washington Bridge lane closures will be calling people to testify next month about what they knew and when they knew it—and the committee just might ask Christie himself to appear before them, says Assemblyman John Wisniewski, co-chair of the committee. Wisniewski says they’ll subpoena more than ten people to testify under oath. Last time around, in November, when the legislators heard testimony from former Port Authority deputy executive director Bill Baroni, they didn’t swear him in, but Wisniewski says they won’t make that mistake again. Back then, of course, Baroni argued that the lane closures were simply part of a “traffic study.” His testimony was soon discredited by the executive director of the PA, Patrick Foye, who did testify under oath. The committee hasn’t specified yet who they’ll subpoena to testify, but they’re looking at a number of new people, thanks to interview summaries just released by Randy Mastro, the lawyer whom Christie hired to investigate Bridgegate and other scandals swirling around the Governor’s mansion. Even though Mastro is very close to Christie ally Rudy Giuliani (for whom Mastro served as deputy mayor), even though some of the interviews were conducted by a close friend of the governor’s, Debra Wong Yang, even though none of the interviews were conducted under oath, and even though Gibson Dunn & Crutcher supplied only summaries and not transcripts, there are some potentially juicy nuggets. Mastro’s firm interviewed more than seventy people for the report clearing the governor of any involvement in the Bridgegate, Hoboken and PA scandals. Clearly there are so many issues that are raised by the Mastro report and now further issues raised by the interview notes that it’s clear this administration used its resources as campaign tool in a very overt way. Among the likely fodder for the committee are revelations that the [Inter-Governmental Affairs] unit in the governor’s office was acutely aware of which local officials were friendly toward the administration. During one interview, former IGA staffer Christina Renna told Mastro’s investigators that she often was told which mayor’s calls should be returned. Notes of Renna’s interview called them “mandatory directives” to ignore calls from certain local officials. Department of Community Affairs Director Richard Constable told Mastro and company that Kelly, who ran IGA, asked him to check with her before speaking with certain mayors, including Jersey City Mayor Steve Fulop, who has said he was ignored by the administration once he made the decision not to endorse Christie. Interviews with some state officials also seemed to bolster the accusation leveled by Hoboken Mayor Dawn Zimmer that Christie administration officials, including Lieutenant Governor Kim Guadagno and Community Affairs Commissioner Richard Constable, held hostage aid to help Hoboken recover from Hurricane Sandy. Zimmer charged that the Christie administration tied the aid to her acquiescence on a multi-billion dollar development project linked to David Samson, former Port Authority chairman and close Christie ally. Mastro’s report disparaged Zimmer’s accusations. Community Affairs Commissioner Richard Constable discussed both the controversial Rockefeller Group high-rise project and Sandy aid with Hoboken Mayor Dawn Zimmer at the time and place she said they did—a fact that probably would not have come out until after the U.S. Attorney’s Office finished its investigation a year from now, or perhaps not at all. Interview memos with Constable, Lt. Gov. Kim Guadagno, and other officials contained numerous important details that they left out of their vehement public denunciations of Zimmer’s allegations in January, bolstering the credibility of Zimmer’s story that the Christie administration tied Sandy aid to the approval of a high-rise development represented by Christie ally David Samson. DiMaggio observed that the Lieutenant Governor and Mayor Zimmer were deep in conversation. She said that it seemed to be a tense conversation. DiMaggio did not observe anyone getting angry or she would have stepped in, but it seemed that they were discussing something intently. DiMaggio recalled that they were not laughing and their faces seemed serious. DiMaggio did not remember anything else. She did not remember observing the Lieutenant Governor and Mayor Zimmer at the end of the conversation. DiMaggio remembered that the Lieutenant Governor communicated that she was frustrated with Mayor Zimmer. With her counsel present, DiMaggio said her memory is not 100% accurate, but she remembered that the Lieutenant Governor communicated to her that Mayor Zimmer was not cooperating, stating in words or in substance something like the Mayor was not playing ball or the Mayor was not playing well with others. Bob and Barbara DreyfussBob and Barbara Dreyfuss are independent, investigative reporters and authors based in Cape May, New Jersey, and New York City, and the bloggers behind The Christie Watch. Bob Dreyfuss, born and raised in New Jersey, is a contributing editor at The Nation, and he has written for a wide range of magazines on politics and policy for nearly 25 years, including Rolling Stone, Mother Jones, The American Prospect and The New Republic. He’s covered issues such as the privatization of Medicare, gun control, gay rights, money in politics, the NAACP, and a profile of Grover Norquist, along with a wide range of intelligence and foreign policy topics. He is the author of Devil’s Game: How the United States Helped Unleash Fundamentalist Islam. Barbara Dreyfuss has written for The American Prospect, Mother Jones, The Veteran and Washington Monthly over the past decade, covering the politics of healthcare, Agent Orange, PTSD and Social Security privatization. She has worked with CBS’s 60 Minutes on stories including industry lobbying behind George W. Bush’s Medicare drug benefit and the gambling industry. Before that, she spent 20 years on Wall Street as a healthcare policy analyst at Prudential Securities, and she is the author of Hedge Hogs: The Cowboy Traders Behind Wall Street’s Largest Hedge Fund Disaster. Why Are ‘The New York Times’ and ‘The Washington Post’ Producing Ads for Big Oil?